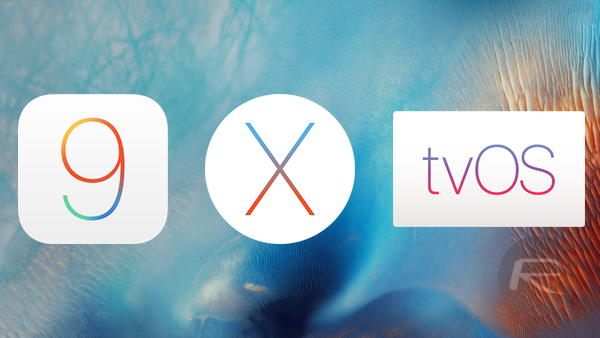 Apple has released second betas of iOS 9.2 and OS X El Capitan 10.11.2, and first beta of tvOS 9.1 to registered developers of Apple Developer Program. First betas of iOS 9.2 and El Capitan 10.11.2 were seeded early last week while final public version of tvOS 9.0 was released last Thursday, just in time for the first Apple TV 4 shipments. -If you un-pair and re-pair your Apple Watch, the stocks glance may be missing. -Apple Watch may be unable to sync music. -Resolved an issue impacting audio quality when playing audio over USB with some car stereos. -Videos with ‘folw’ track associations will fail to play on 32-bit devices. -Safari View Controller can now be dismissed using an edge swipe. You must rebuild your app against the iOS 9.2 SDK or later in order to take advantage of this new behavior. If you’re already running beta 1 of iOS 9.2, simply head to Settings > General > Software Update and update to beta 2. Apple hasn’t released an official changelog for 10.11.2 beta 2 yet but it’s likely that this seed focuses on general bug fixes and performance improvements, with main focus on Graphics, Mail, Wi-Fi, Calendar, USB, Notes, Photos, and Spotlight, for the upcoming update to Apple’s desktop OS. Those of you who are running 10.11.2 beta 1 can download the update from the Mac App Store. According to the official release notes for tvOS 9.1 beta 1, the new tvOS beta includes fixes for networking, in-app-purchases for apps and scrolling on Apple TV 4 units. To install tvOS 9.1 beta on your Apple TV, you will need a USB Type-C to USB Type-A cable to connect Apple TV to your computer and then restore to the latest firmware the usual way using iTunes. Firmware files for all the three beta builds are available to download from Apple Developer Program portal.